Look what I found at Target! This week there is a pet food gift card offer including a number of products and brands. 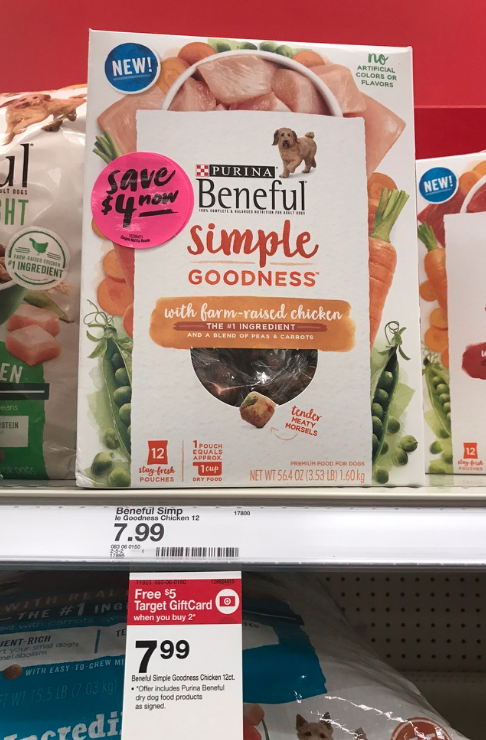 The best deal is on Purina Beneful Simple Goodness! 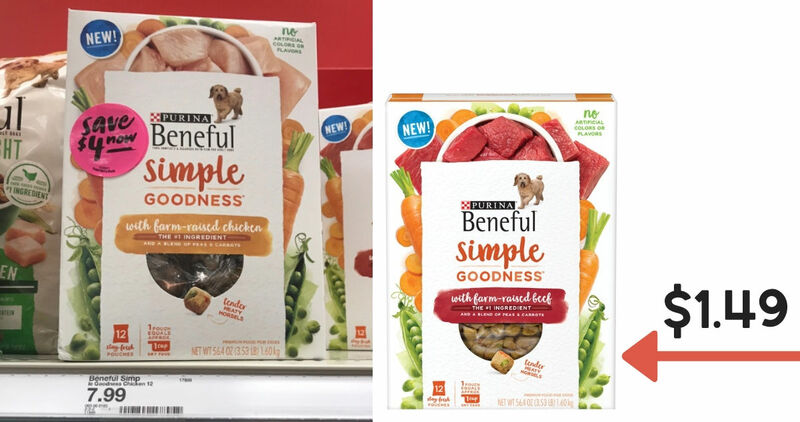 Grab 56.4 oz boxes and look for boxes that have $4 off coupons on them. Not only is this the cheapest item that is part of the gift card offer, but with a coupon that high…it’s a great price! This offer is valid through 9/8.